Winter is nearly over and we are now beginning to see signs of spring – longer days, the odd day of glorious sunshine and beautiful primroses and daffodils popping up in the Devon hedgerows and gardens. This normally brightens the spirit. Everything is OK in life but somehow your ‘get up and go’ has ‘got up and gone’? To make matters worse, you have also developed a case of the ‘shoulds’. 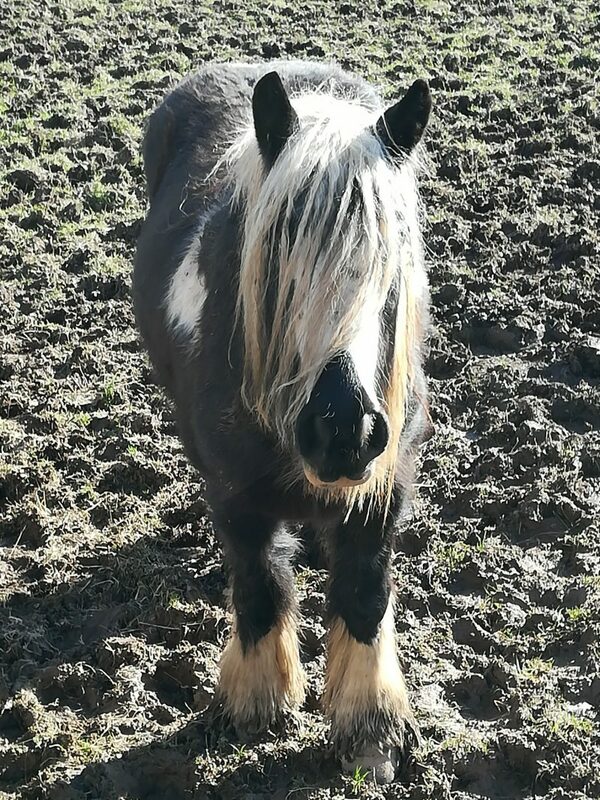 ‘I should be riding and getting my horses back into work’, I should be enjoying my horses more now that I can actually see them in daylight during my working week’, ‘I should feel joy around my horse but it is not there’. Recently I have seen and heard a number of people struggling to find the motivation that fuelled them through last summer. Through the winter, we have all been looking forward to and indeed expecting to be feeling better than this now and we can’t put a finger on why we aren’t. Our motivation is just not there and as a result it is difficult to get the energy to do anything, to concentrate on tasks and to make plans for the next few months. We find ourselves not wanting to put that extra effort in to attending a training session or getting out on our horses when the weather actually allows us to. But is this such a surprise? Our brain functions in such a way that we are drawn to activities that give us a reward – feeling fantastic after completing a great dressage test, being placed in a local competition or sailing through a demanding cross-country course. When we do these things we get a hit of dopamine (one of our feel-good hormones) which makes us feel fabulous! However, we get that reward when we have accomplished something, not just when we think about doing it. How many times have you heard someone saying they don’t look forward to going out on a run, but when they have finished one they feel fantastic. Last summer is a long time ago. Through the winter we have been getting on with looking after our horses as best we can given the weather conditions and reduced daylight hours. Our goal is to get through it as best we can. Our memory of the feel-good hormone-induced high last summer is such a distant memory it is not always enough to fuel us into action. The problem is that we expect motivation to appear from nowhere. In reality, motivation comes ONCE we have taken action i.e. once we have started releasing our feel-good hormones again. Once we take action we are motivated to do more which in turn inspires us to continue and plan more actions. At Inspired to Change Winkleigh we get to work fast, focusing on what is going well, how well you have been coping and how we can move forward, rather than dwelling on what seems to be stuck or missing. This is precisely because focusing on the problem will not allow a solution to present itself, instead it will lead us to procrastinate and delay any action, whilst getting angry and disappointed with ourselves that we can’t seem to do anything! When we feel ‘stuck’, we can’t see the wood for the trees! Perspective is lost. This is because we are operating from a very negative part of the brain which encourages us to continue obsessing over what is wrong and what could go wrong! But, the great news is that we can re-train our brain to think and act differently. We can actually change how we respond and deal with things by re-wiring our brain. We just have to start ‘doing’. Once we start the process and keep releasing feel-good hormones then more positive neural pathways develop, we engage the more positive and rational part of our brain which can think about opportunities and plan activities. The more we use our more positive behaviour and thought patterns, the stronger these neural connections will grow. If you you are struggling to make that leap into action then perhaps it’s time to get in touch to book your FREE initial consultation with your local Inspired to Change hypnotherapist. Inspired to Change Hypnotherapists are based across the UK in Peterborough, Northamptonshire, Cambridgeshire, Leicestershire, Devon and Kent. PreviousCan Hypnotherapy Really Help IBS?